Is a term of Chinese origin that refers to Life Energy Cultivation. 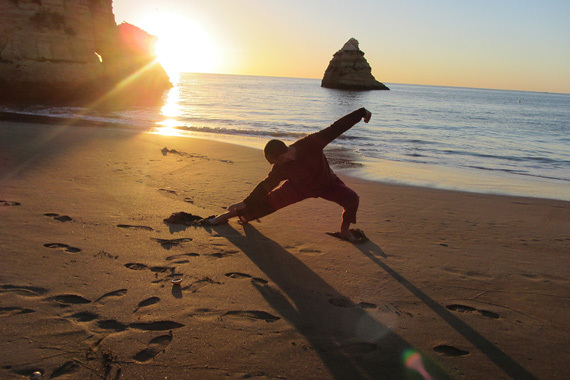 It is a holistic system (practiced for thousands of years) of coordinated body posture and movement, breathing, and meditation used for health, spirituality, and martial arts training. 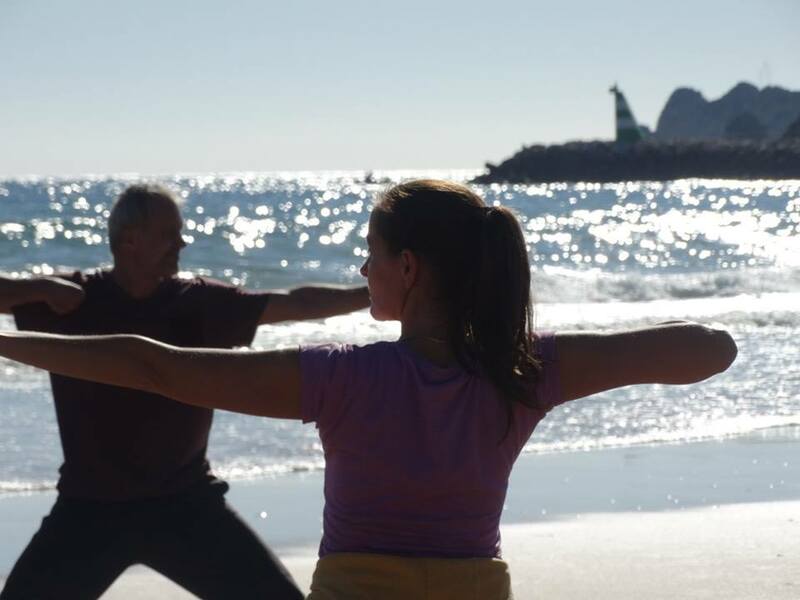 The most popular form of Qigong in the West is the Ba Duan Jin - "eight pieces of brocade", sometimes translated "eight treasures".It is a form composed of 8 sets of movements coordinated with the breath, developing a meditative flow. 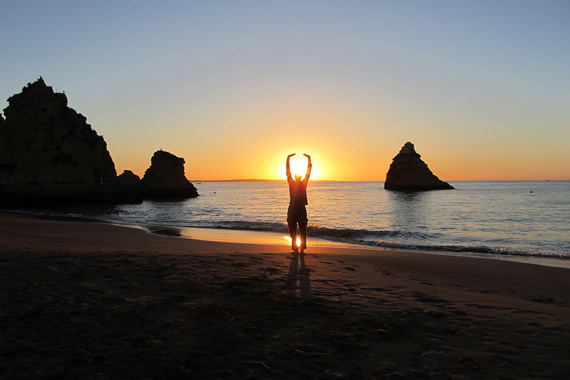 These exercises, with correct alignment of the body, intensify the flow of energy along the meridians (energy channels), the internal organs, the immune system and the whole body. Ba Duan Jin origin remote back to the Shaolin temple, 6th century AD, when the Indian monk (Bodhidharma) realised that the Chinese monks were weak and couldn’t cope with the very long meditation sessions. Bodhidharma decided to teach yoga to the monks in order to strengthen and develop the vitality necessary for his practice, that bacame known as Chan Buddhism (Zen). 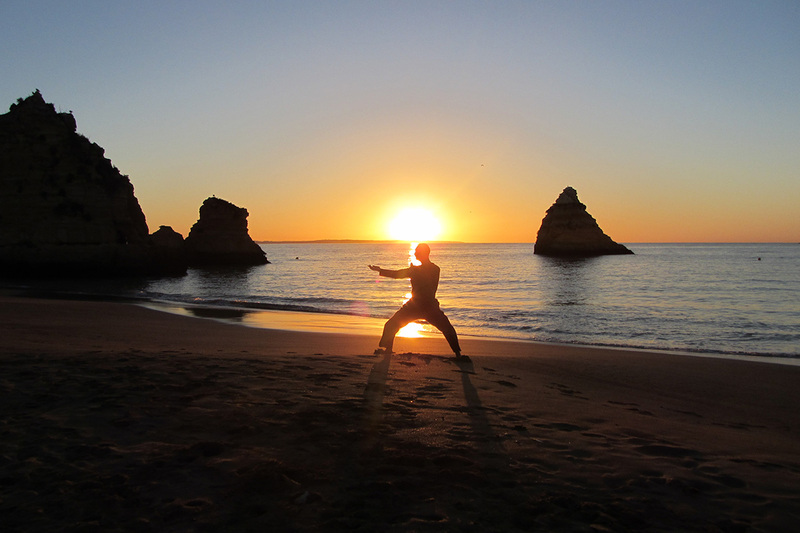 Within the next century, his yoga was then absorbed and integrated into the Chinese Qigong and eventually influenced General Yue Fei (13th century AD) that is accredited for creating the Ba duan Jin form we know today. Balances energy in all the internal organs (The Triple Burner refers to the Thoracic and Abdomino-Pelvic cavities). This first movement will help eliminate fatigue. Realigns the back muscles and the spine. Strengthens the muscles of the arms, abdomen, back and legs. Improves lungs and liver and promotes overall good health and vitality. Invigorates the torso with energy and opens the chest for deeper breathing. This movement not only adjusts the spleen and the stomach, but also regulates the liver and gall bladder. Exercises the neck and eyes muscles, releases tension. Nourishes the internal organs with vital energy and freshly oxygenated blood. Expels Fire Energy from the system by drawing it out through the lungs and energy gates. The main goal is to balance the kidney and the heart. Stretches and tones the entire spinal column. Promotes the circulation of freshly oxygenated blood to the brain. Balances energy flow between the front and back, upper and lower parts of the body. Angry and tense feelings are dispelled. Additional oxygen is supplied to the blood. 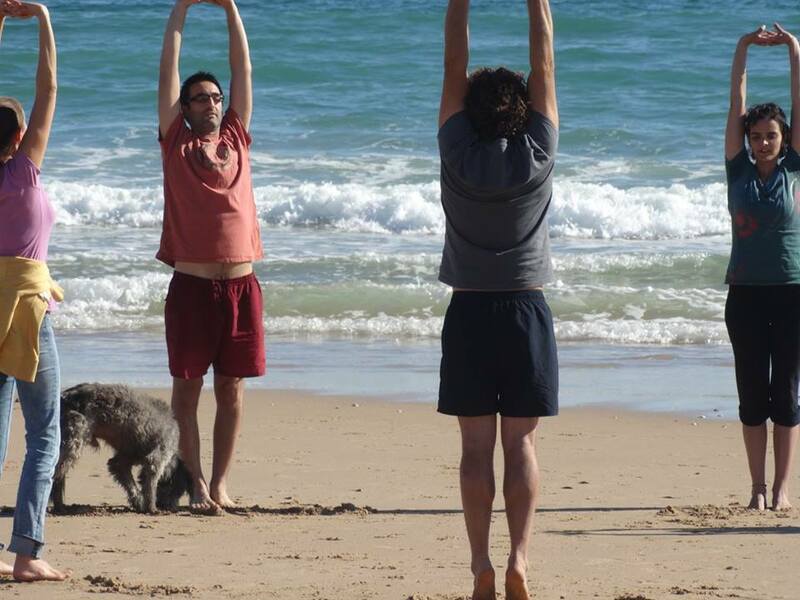 Trains and benefits the liver and also the waist and kidneys, enhancing overall strength and Qi. Generates waves of energy, stimulates the body’s central nervous system and improves blood flow to the internal organs, which helps detoxify them. Enhances the balance and coordination. 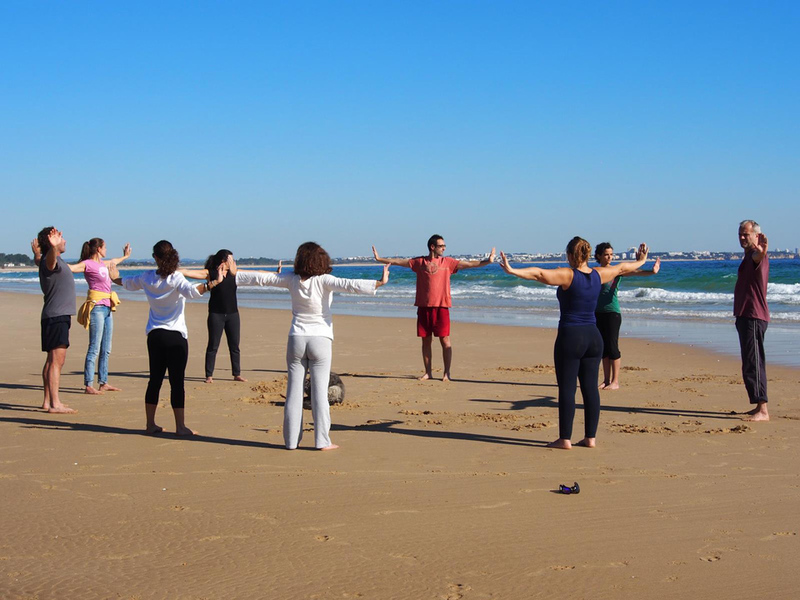 These Qigong sessions gradually introduce the traditional form of Ba Duan Jin as well as other static Qigong exercises and movements coordinated with breathing. 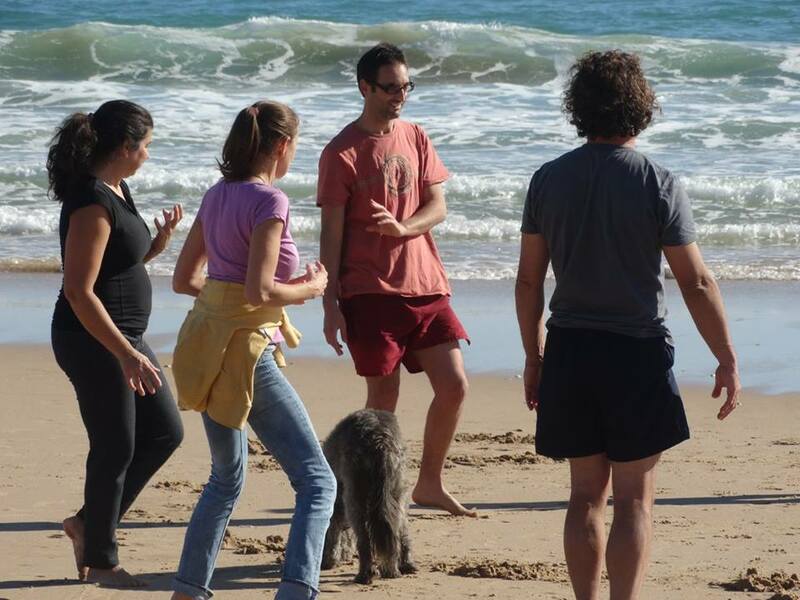 During the months of February to May 2019, these regular classes will complement the Qigong - Baduanjin Workshop and we will practice the forms learned on each module. 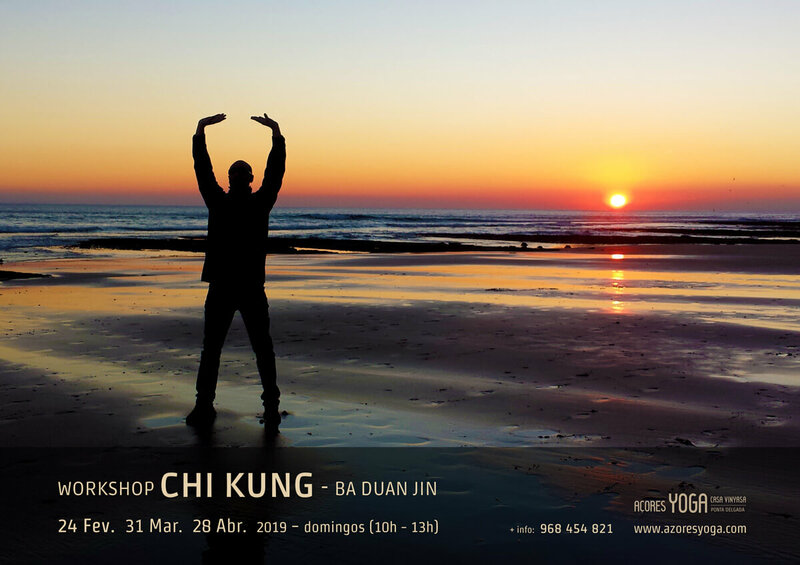 This Chi Kung (Qigong) workshop introduces two forms of the "eight pieces of brocade" - Ba Duan Jin - a traditional Chinese form originating in the Shaolin temple by the Indian monk Bodhidharma, in the sixth century AD. 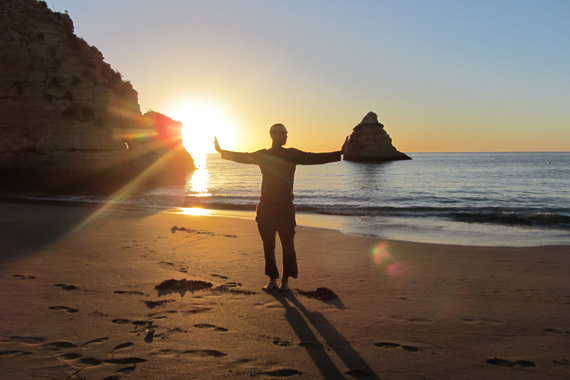 The Qigong regular classes (Wednesdays at 8:15 pm at Azores Yoga) will complement this workshop, allowing to deepen the pratice learned in each module. I met Qigong when I lived in London. I worked for long hours at the computer in Web design area and was too out of shape, I needed to do something. 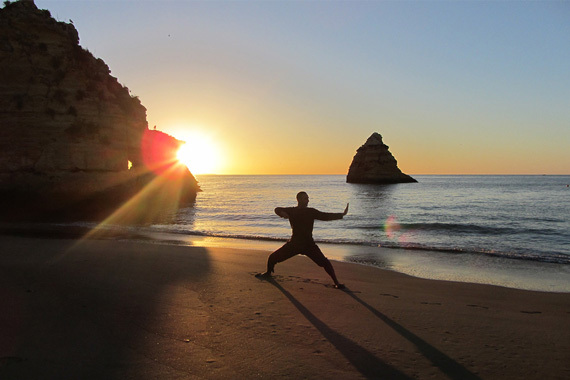 In the autumn of 2000, together with a co-worker, we searched for a place to practice Kung Fu and were told that the best of London was the Shaolin Temple UK... there, I discovered meditation and Qigong! At first I could not breathe through my nose, but with two years of intensive Qigong and Kung Fu training I was fit and healthy. I was fascinated by this practice, and in 2003 I stopped with Kung Fu and dedicated to experiencing the numerous styles of Qigong that were in London, understanding their great diversity. 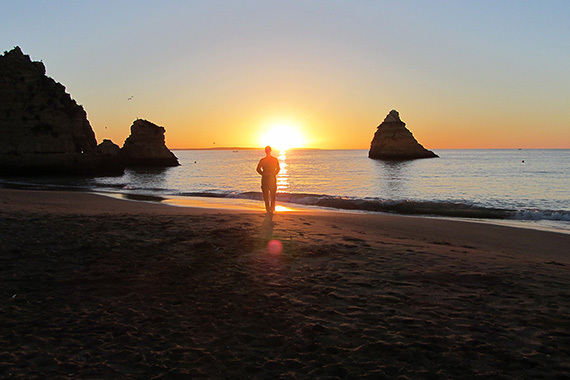 From 2004, after returning to Portugal, I practiced Tai Chi, Qigong and Zen Meditation with Carl Zimmerling, with whom I have maintained a close proximity of contact. My curiosity about Qigong is wide and I have always tried different styles and teachers. Once in a while I return to London and Shaolin Temple UK. From the year 2009 I began to share my practice and in recent years I have held several Qigong - Ba Dua Jin - Workshops in the Algarve and in Spain. 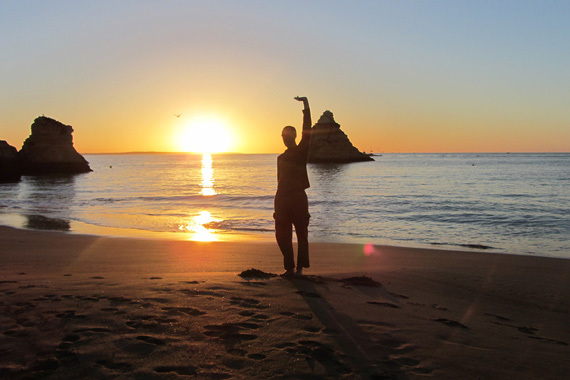 Now living in the Azores, I have a great pleasure and desire to share the practice of Qigong in this special and wonderful island of S. Miguel.